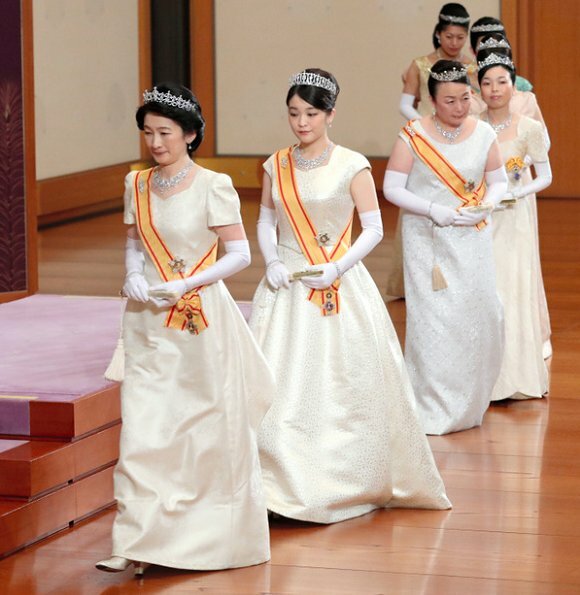 On January 1, traditional 2018 New Year ceremony was held at the Imperial Palace. 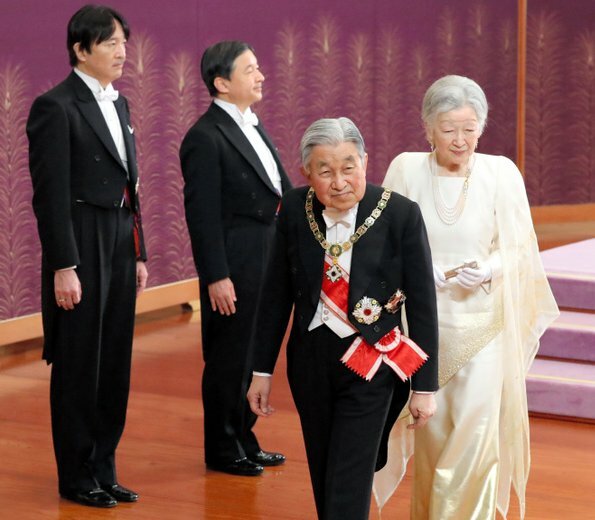 Emperor Akihito, Empress Michiko, Crown Prince Naruhito, Prince Akishino, Princess Kiko, Princess Mako and other members of the imperial family attended the New Year ceremony. 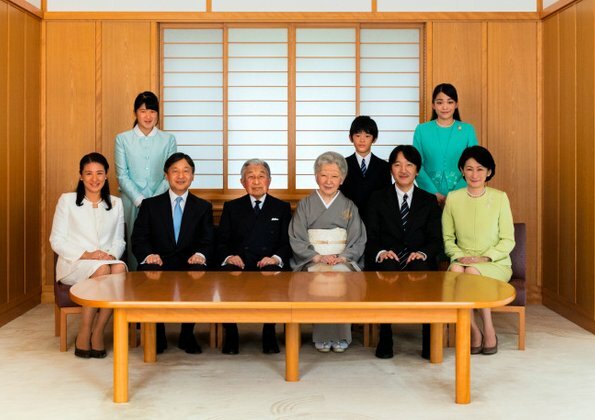 In addition to that, on January 1, The Imperial Household Agency released new official photos of Japanese imperial family as in the beginning of every year. Masako doesn't seem to be present in the first set of photos. 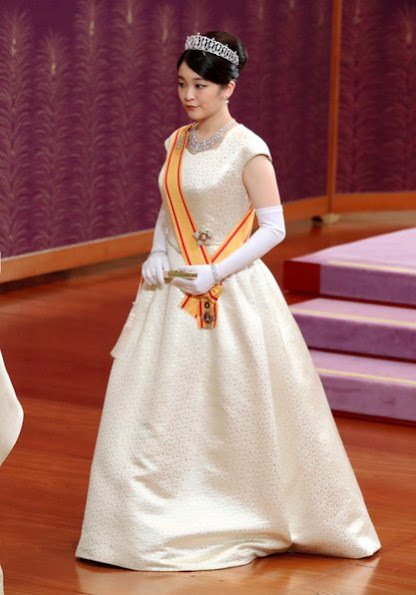 CP Masako travelled to the palace in full court dress, including her tiara, by limousine accompanied by the Crown Prince and their daughter. 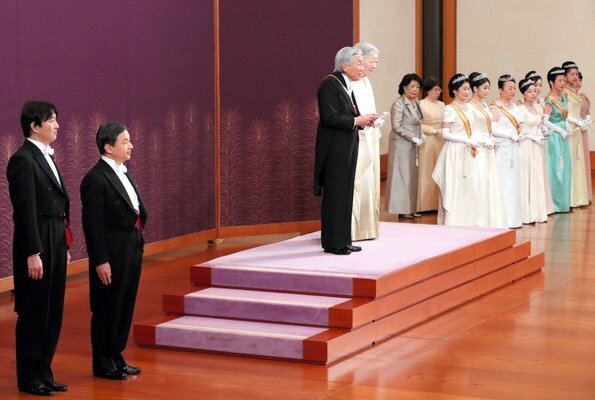 She was there but not visible at the ceremony at which the first pictures where made. 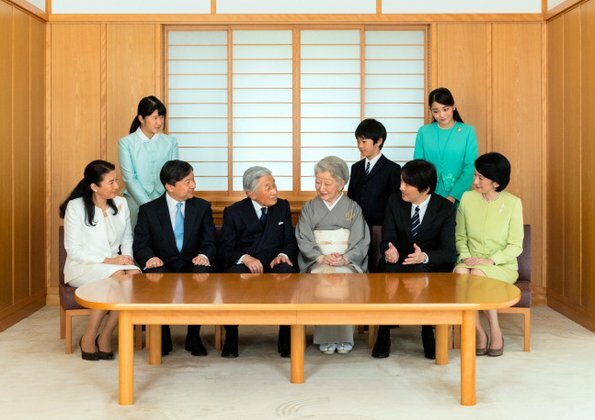 Crown princess is never in this line front but she is there in event. Must be part of their courtesy. I do not know why, maybe we have here someone who could explain? 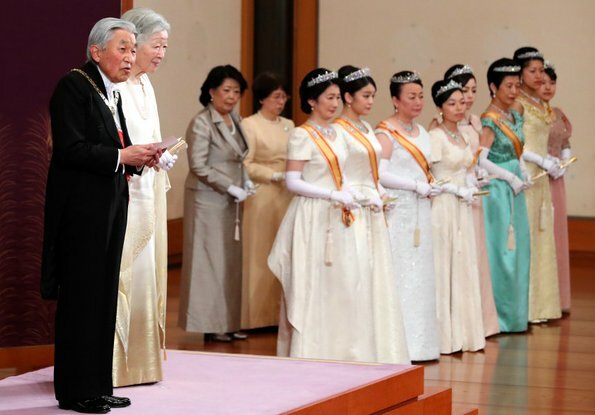 I remember it had to do with her depression she used to attend in the 90s and she was the first lady in line after the empress as crown princess. 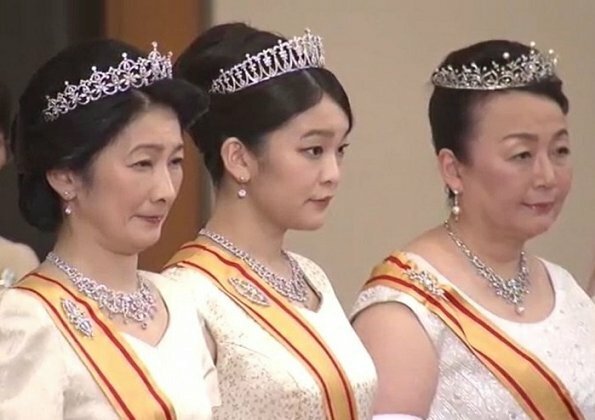 She does attend in court dress with tiara at the event but the main ceremony she doesnt participate in.. Its little bizarre how this happen. its like dressing to a wedding meet the bride privately and dont attend the actual wedding ceremony itself.